Hyperdontia is a condition in which a person has one or more extra, or supernumerary, teeth. For some, hyperdontia is only an aesthetic issue, while others may experience oral health problems as a result of this condition. Dr. Kenneth W. Coffey offers a variety of restorative dentistry treatments to address both the aesthetic and oral health problems caused by hyperdontia. If you have one or more supernumerary teeth, treatment for hyperdontia at our Orland Park, IL based practice may be right for you. We welcome you to schedule a consultation to learn more. Hyperdontia describes a condition in which additional teeth are present. In adults, this would mean a person has more than 32 teeth. One of the most common types of supernumerary teeth seen in hyperdontia cases is a peg-like tooth, called a mesiodens, which typically erupt between the two upper front teeth. The cause of hyperdontia is unclear. However, it is more common in males than females, and there appears to be a genetic component to the growth of supernumerary teeth. Additionally, hyperdontia is often seen in combination with other genetic conditions, such as Ehler-Danlos syndrome, Gardner syndrom, or in incidences of a cleft lip or palate. Extraction of supernumerary teeth is essentially the only treatment for hyperdontia. Before extraction, X-rays may be taken to determine if any supernumerary teeth are fully erupted or impacted. If impacted, surgical removal of the tooth may be necessary. During surgery to remove an impacted tooth, an incision is made in the gums near the tooth being removed. The tooth is then broken and removed in pieces. The incision will be closed once the tooth is fully extracted. For fully or partially erupted supernumerary teeth, a simple extraction may be performed. During a typical extraction, the tooth being removed is moved back and forth until loosened. Once sufficiently loosened, the tooth is removed with dental forceps. With a standard extraction or surgical extraction, an anesthetic or sedative will be given to keep the patient comfortable during treatment. If hyperdontia has caused the remaining teeth to shift or has resulted in malocclusion, orthodontic treatment may be performed after extraction to properly align the remaining teeth and improve the overall appearance of the smile. Supernumerary teeth that cause no oral health problems may not require treatment, but may be removed for aesthetic purposes. 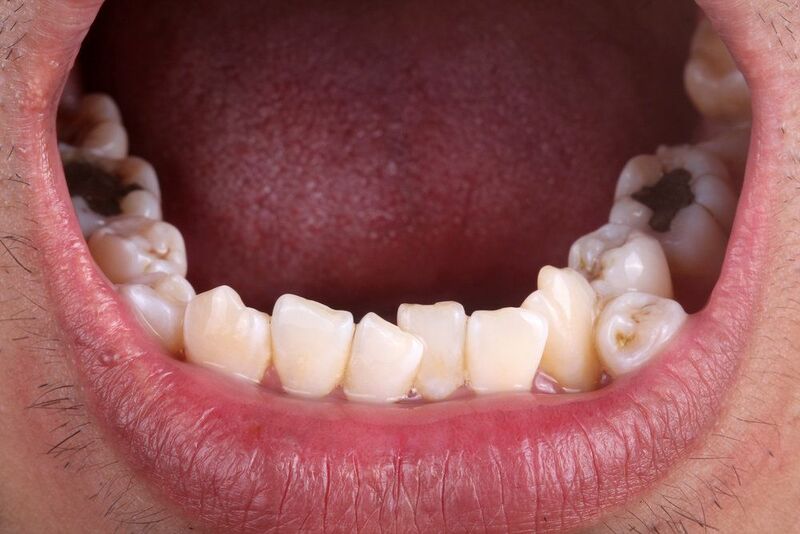 If not removed, it is important to closely monitor supernumerary teeth and any teeth they may overlap for signs of decay or gum disease as such oral health issues are common with hyperdontia. For more information about treatment for hyperdontia, please schedule a consultation with Dr. Coffey.